Peterborough, New Hampshire-based PeoplesVC is on a mission to create jobs in America, and the equity-based crowdfunding site is in the process of launching an integrated multimedia platform to do exactly that. 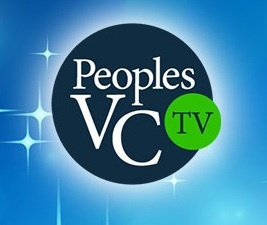 Called PeoplesVC-TV, the network will play host to specially developed live, theme-based TV shows expected to help the site to achieve its aim of job creation through hyperlocal crowdfunding, revolutionizing capital formation for startups and existing small businesses. “Our primary mission here at PeoplesVC is to create jobs in America,” says Akhil Garland, CEO of PeoplesVC, Inc.